It’s officially fall and soon we’ll be enjoying the wonderful fall colors, cooler temps, and lots of football. 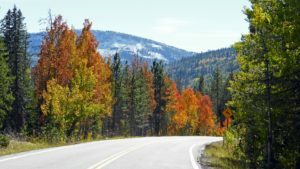 Fall is also a great time to think about what needs to be taken care of with regard to your car’s “vehicle maintenance” needs. Because we understand that you love your vehicle and you rely on it to take you wherever you need to go, we also know that when your car starts to develop a problem, it can be a very stressful time. In order to avoid that, the fall season is an excellent time to give your car a good looking over, do some maintenance on your car, and give it a good check up to make sure you don’t overlook some vehicle maintenance issues that you can’t afford to ignore. We realize that most people have no idea how to diagnose problems with their automobiles and that sometimes means they either risk driving a car that may not be safe or perhaps feeling like you’re going to be taken advantage of by an unscrupulous or unqualified auto mechanic who can’t diagnose, let alone fix the problem, which just thinking about starts to stress you out! But don’t give in to either of those thoughts. The following list may help you pinpoint any problems that need to be checked by a professional before you make yourself crazy worrying about it. Your car isn’t stopping as it should: This can be caused by brake fading. If stopping distance seems to increase, which causes longer braking distances, you may need to have your brakes looked at or replaced. Car moves right or left when brakes are applied: In this instance, your brakes may be grabbing. This is when the brakes engage suddenly whenever you apply steady pressure to your brake pedal. This can cause serious problems when driving and should never be left to get any worse. Engine cuts out: This is caused by a temporary complete loss of power. If your engine quits at regular intervals under heavy acceleration, you may want to take it in right away as this could indicate a serious problem, but it can also be minor. A professional will determine the best course of action. You hear a popcorn sound under the hood: This is caused by mild to severe pings during detonation. If the problem gets worse while accelerating, don’t drive the car until you can bring it in for a checkup. Puddles of fluid under your vehicle: Dark puddles can either mean oil, axle grease, power steering fluid or transmission oil. If the puddles are yellow, green, pink or orange, you may be leaking coolant. And if the puddle is clear, this could just be normal condensation from your vehicle’s A/C system. If you’re unsure what that substance is under your car, don’t just let it go. It’s better to get it checked out than be sorry later. Odd smells coming from your car: If you smell a thick, heavy odor accompanied by smoke, you may be burning oil. And if the odor is more like burnt toast, you may have an electrical short. And if the odor is hot and metallic, you may have an antifreeze or coolant disorder. And if the smell is more akin to rotten eggs than anything, that could indicate a problem with your emissions. Any foul odor coming from your car is a bad thing and should be checked out as soon as possible. If you are experiencing any of the above issues, contact us for the help you need. You can be assured that one of our qualified and experienced auto techs will quickly diagnose and fix fix your problem at a reasonable rate so you can enjoy the fall season and feel safe on the road.